or as a general purpose compact handheld. The performance is comparable to handhelds costing up to four times as much. They really are incredible value for money, ask anyone who owns one! 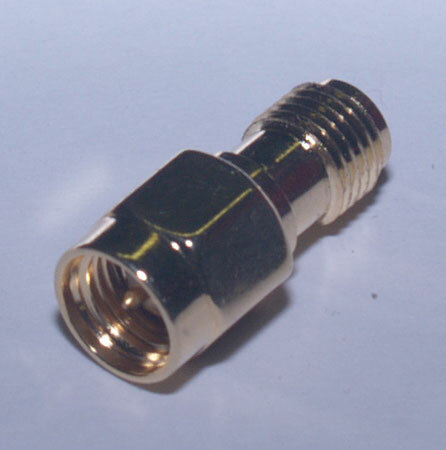 The radio is CE- and FCC-approved and ROHS compliant. 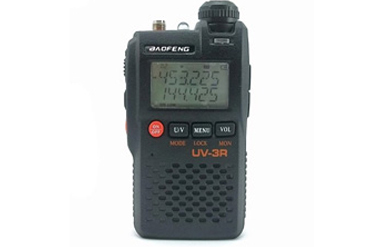 eight European PMR 446 frequencies (for monitoring purposes only as the radio is not approved for transmission in the PMR 446 band). PLEASE NOTE: THIS RADIO HAS A CHARGER PSU WITH A EUROPEAN 2-PIN PLUG, SO AN ADAPTER WILL BE REQUIRED. We offer a USB programming lead for the UV-3R. Please see the subcategories at the top left of our site for further information or contact us directly. Amateur Radio use (appropriate licence required).